HOUSTON, Texas – The Southwestern Athletic Conference formally inducted seven of its most significant athletes, coaches and administrators into the SWAC Hall of Fame Thursday night at the J.W. Marriott in Houston. The annual reception served as the catalyst for championship weekend in leading up to the 2015 SWAC Football Championship game. Each inductee had the chance to share past stories and show gratitude to those that helped them during their playing and coaching days. Prior to a career in politics, Evans served the SWAC for three decades (1979-2009) in an officiating capacity. In addition to becoming one of the conference’s most seasoned officials, Evans also spent more than a decade coordinating officials for SWAC men’s and women’s basketball. Evans was floored by his induction. The evening was an emotional one for Gibbs, who dedicated his college career to his mother. Gibbs described his induction as one of the most meaningful accolades he’s ever received. As one of the most dominant scorers of his era, Texas Southern alum Kevin Granger went down as one of the greatest basketball players in conference history, leading the Tigers to the SWAC Tournament Championship in 1994 and 1995 – he won tournament MVP honors in 1994 – and in 1996, he led the nation in scoring at 27 points per game. Granger, who was a two-time all-SWAC and Black College All-American selection, said the best part of the night was sharing the merit with his closest loved ones. Currently, Granger serves his alma mater as its athletics operations manager. Harrington was one of the most electric running backs in the nation as part of the Wishbone offense of SWAC coaching legend W.C. Gorden. He earned two All-SWAC selections for the Tigers in 1978 and 1979 as well. “It’s one of the better honors of my life. It’s the first opportunity I’ve had to enjoy an award with my children. I’m very enthused,” Harrington said of his enshrinement. Hurst parlayed a stunning athletic career at Southern, into an equally impressive seven-year career in the NFL as a member of the New England Patriots. Hurst was named to the NFL All-Rookie honors and was eventually selected to the Patriots’ all-decade team in the 1990s, earning the distinction of All-Pro during the 1995 season. Hurst said he never thought that his playing career would lead him to the annals of the SWAC Hall of Fame, calling the induction a humbling occasion. As one of the great athletes and coaching pioneers in Panthers history, Pete has experienced success in nearly every athletic venue one could imagine. Even with the multiple all-conference and all-tournament selections as well as the litany of division and conference championships won as volleyball coach, Pete considered her most recent distinction one of the most meaningful. Pete currently serves as the Senior Woman Administrator at Prairie View A&M. Rogers was SWAC Player of the Year twice en route to earning All-American distinction in his junior and senior seasons. 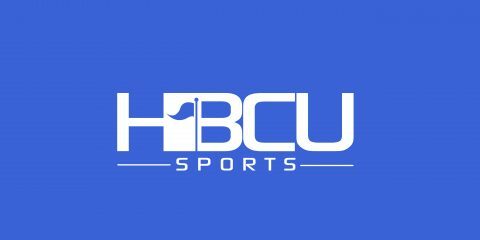 He went on to transition from that to coaching and athletic administration, where he has been a part of three separate SWAC championship teams in basketball and football. For the former Hornet basketball star, Rogers said it was an award to share with his family, supporters and his fellow Hornet alums. Rogers is currently an assistant coach for the Alabama State men’s basketball team.